If you were unable to make it to the Retail Systems Multi-channel Conference on September 15 then you will have missed the launch of the Top 70 survey of the ‘Movers & Shakers in Multi-channel and E-commerce’. Fear not as the link here gives you access to the list of the 70 people that are doing good things in this dynamic part of the retail sector. 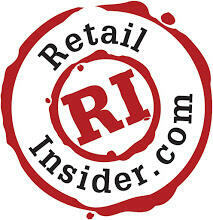 The list was created by Retailinsider.com from canvassing the opinions and views of many people in the retail industry. The final 70 are a mixture of big players in the sector and others that are heading upwards and will likely make big waves as they progress through their careers. It is hoped that the survey will prompt some debate in the retail industry and if you are disappointed to not be included in this year’s list then there is always the 2011 survey that will likely be extended to a Top 100 format. Good luck. If you found this content interesting then do please subscribe to Retailinsider.com by simply entering your email in the box on the left of this page. Many thanks.